Located between Jaipur and Amber near to Ramgarh road crossing, Maharani ki Chhatri of Jaipur is basically a funeral area for the Royal ladies or Maharanis of Jaipur. Maharani ki Chhatri is famous for its magnificent cenotaphs which were built in the memory of various ladies of the Royal families. 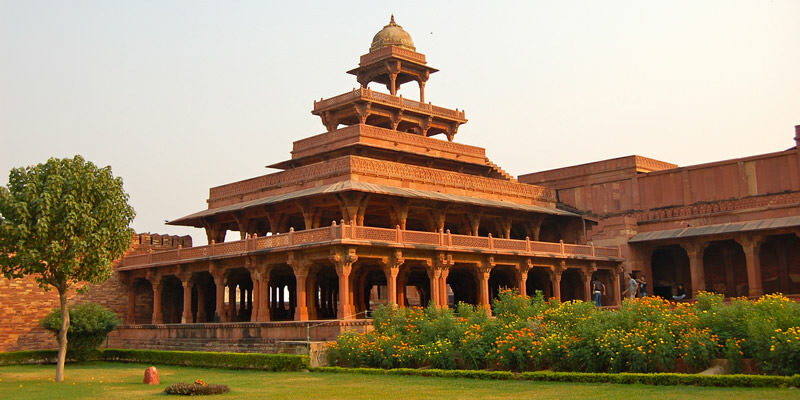 Maharani ki Chhatri is the royal crematorium which are artistically carved senotaphs with beautiful royal chhatris. Some of them are built with marble whereas some used local stone only. These big and grand cenotaphs also show the status and importance of women in the royal family. 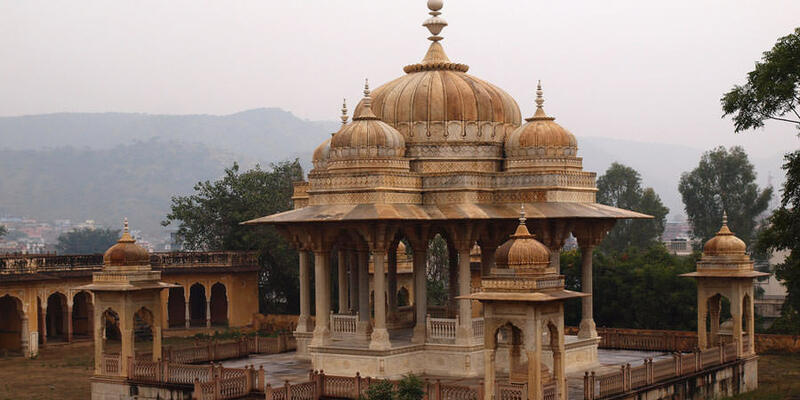 By Road: Maharani ki Chhatri is located in the outskirts of Jaipur city near to Ramgarh road crossing. One can easily reach here with local taxi or cab. By Rail: Maharani ki Chhatri, Jaipur is well connected through Jaipur Railway station to major cities railway stations like Delhi, Agra, Mumbai, Chennai, Bikaner, Jodhpur, Udaipur, Ahmedabad. By Air: Maharani ki Chhatri can be reach through Jaipur Airport, also called Sanganer Airport which is well connected with regular domestic flights to Delhi, Kolkata, Mumbai, Ahmedabad, Jodhpur and Udaipur. Incorrect info! Maharani Ki Chhatri is different from Gaitore. Gaitore showcases the cenotaphs of the Maharajas of Jaipur whereas Maharani Ki Chhatri is located on the Amber road and showcases the cenotaphs of the Maharanis of Jaipur. Check your facts!